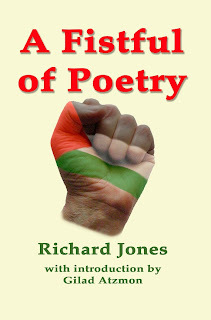 Richard Jones will launch his new book of poetry at the Dylan Thomas Centre on Wendesday 24th at 7.30pm. Richard is twice winner of the English Medal at the University of Wales Eisteddfod. Vanished into 'chalk Siberia' for 29 years. Re-emerged scarred but intact. He is published in the New Welsh Review and Roundyhouse. A Fistful of Poetry, his well established blog, is being followed by 'A Fistful of Poetry' the book.